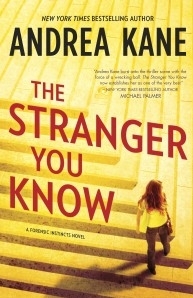 I love a good mystery/thriller, and I especially love them when a strong woman is the protagonist, so when Lisa @ TLC Books offered me a copy of The Stranger You Know by Andrea Kane, I HAD to say yes. And I’m glad I did. It begins with a chilling phone call to Casey Woods. And ends with another girl dead. College-age girls with long red hair. Brutally murdered, they’re posed like victims in a film noir. Each crime scene is eerily similar to the twisted fantasy of a serial offender now serving thirty years to life—a criminal brought to justice with the help of Forensic Instincts. Call. Kill. Repeat. But the similarities are more than one psychopath’s desire to outdo another. As more red-haired victims are added to the body count, it becomes clear that each one has been chosen because of a unique connection to Casey—a connection that grows closer and closer to her. Now the Forensic Instincts team must race to uncover the identity of a serial killer before his ever-tightening circle of death closes in on Casey as the ultimate target. As the stalker methodically moves in on his prey, his actions make one thing clear: he knows everything about Casey. And Casey realizes that this psychopathic won’t stop until he makes sure she’s dead. Buy a copy of The Stranger You Know from Amazon. I was gripped by the character of Casey Woods, her company, Forensic Instincts, and her four-story brownstone apartment/office building from the first moment I opened the Kindle file holding The Stranger You Know. She and Hero the bloodhound (because what detective firm doesn’t need a bloodhound?) leaped off the (virtual) pages and into my brain, and as I met other characters, Yoda the AI interface, Patrick the colleague, and the rest, I was only more and more pulled in. Andrea Kane’s writing is descriptive and keeps things fresh and contemporary while still serving the story. Each of the characters had a distinct voice, and I loved the concept of using everyone’s skills – technology, psychic powers, the dog, field experience, to form a team of investigators that could easily rival any Whedonesque neo-Scooby-gang for both chemistry and results. It’s difficult to describe any kind of crime novel without spoiling plot points (which is also why I tend to avoid doing summaries), but I will say that there are clues laid out fairly nicely, and while it could be argued that the plot is a bit predictable, that isn’t a detriment to enjoyment of the story, because the characters are so well drawn. I didn’t do a lot of research into the author, but I know that this isn’t Kane’s first outing with these characters. Even so, it doesn’t feel like a new reader is missing any crucial backstory. I’m sure the other Forensic Instincts novels are equally good, but The Stranger You Know is strong enough to be a stand-alone story. If you love a good mystery, you will, as I did, love this book. Goes well with cafe au lait and pumpkin spice bread..
Andrea Kane’s psychological thriller The Girl Who Disappeared Twice became an instant New York Times bestseller, the latest in a long line of smash hits. With her acclaimed signature style of developing unforgettable characters and weaving them into carefully researched story lines, Kane has created Forensic Instincts, an eclectic team of maverick investigators. Recruited because of their special talents and dynamic personalities, the high-energy members thrive on blatantly disregarding authority. Armed with skills and talents honed by years in the FBI and Special Forces and with training in behavioral and forensic psychology, this unstoppable team solves seemingly impossible cases while walking a fine line between assisting and enraging law enforcement. 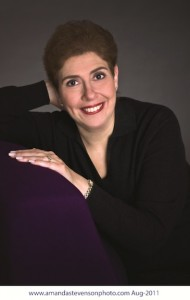 With a worldwide following and novels published in more than twenty languages, Kane is also the author of numerous romantic thrillers and historical romances. She lives in New Jersey with her family, where she is busily crafting a new challenge for Forensic Instincts. This review is part of a TLC Blog Tour.